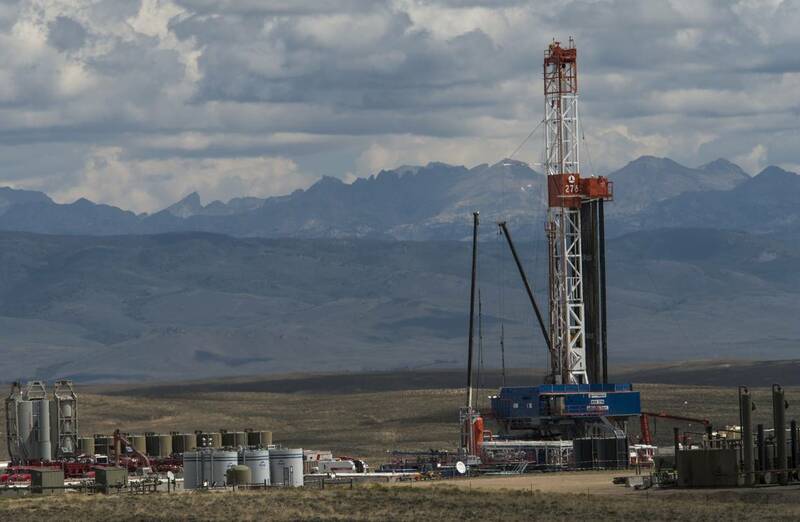 A drilling rig operating in a natural-gas field near Pinedale, Wy. Natural-gas producers should be delighted: A cold winter has furnaces blazing into late March, domestic demand is up, and record volumes are being sold abroad. Yet fuel prices are depressed. A pair of wells in southwest Wyoming helps explain why. This winter, Ultra Petroleum UPL 1.15% Corp., just months after emerging from bankruptcy, completed two huge wells in the state, drilling down more than two miles and then sideways for another two. Each have produced enough gas to fuel every household in Wyoming. Ultra’s wells—whose initial flows have been among the largest ever in the U.S.—show how prospectors continue to unearth huge troves of gas. That output is offsetting increases in the fuel’s use and keeping a lid on prices. On Wednesday, natural-gas futures for April delivery closed at $2.638 a million British thermal units, down 27% from a winter-heating season high reached in January and below break even for many drilling prospects. Many banks and analysts predict average prices will remain below $3 for years. That is good for the homeowners, chemical makers and power plants that buy gas. But cheap gas has bedeviled drillers, many of whom are battling low prices by drilling bigger wells in search of efficiencies. U.S. gas production has averaged 79.63 billion cubic feet a day this year, up nearly 10% from 2017’s record output, according to S&P Global Platts, which compiles pipeline data. “Supply is casting a pall over what’s going on on the demand side of the ledger,” said Richard Redash, who leads the firm’s North American gas and power research. Snow days in Houston and nor’easters in March have reduced gas in storage to its lowest level in three years. Chemical makers and other manufacturers are consuming record volumes. Mexico is importing more than ever. And Dominion Energy Inc.’s Cove Point export terminal in Maryland began filling tankers with liquefied natural gas this month, pushing overseas LNG shipments to new highs. Yet this unprecedented demand growth has barely absorbed the gas flooding the market. Gas is surging out of West Texas, a byproduct of frenzied oil drilling in the Permian Basin. Appalachian output is on the upswing as new pipelines connect swaths of the Marcellus and Utica shales to the market. In Louisiana’s Haynesville Shale, and now Wyoming, producers have supersized wells in attempts to lower their cost per unit and better compete with cheaper-to-drill areas. Ultra has been one of the main producers in Wyoming’s Green River Basin, typically drilling vertical wells into a gas-bearing rock. In April 2016, Ultra filed for bankruptcy protection after low gas prices pushed its earnings relative to debt below thresholds spelled out in agreements with creditors. When the Houston company emerged from bankruptcy protection a year later, it embarked on a plan to drill horizontal wells. A horizontal well in 2016 was a flop. But this time, Ultra drilled a gusher, which maxed out at the equivalent of 51 million cubic feet a day. A third well was far less prolific. For the fourth well, begun in January, the company went back to the more successful well design, which involved pumping 281,000 barrels of water and 12.4 million pounds of sand beneath the surface. This attempt was even better than the preceding one, producing as much as the equivalent of 54.5 million cubic feet a day. It cost about $9 million. 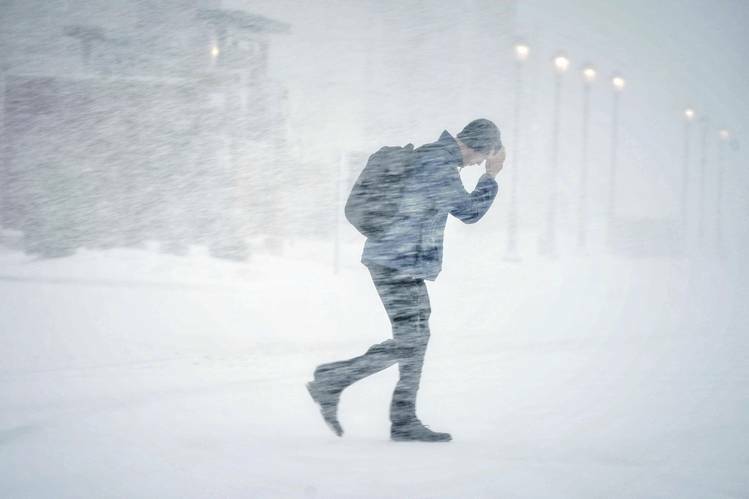 Severe weather this winter has helped fire up demand for natural gas. On a daily basis, that is more than six times as much gas as Ultra’s typical vertical well, which cost $3 million to drill. Ultra says it has 700 locations on its land where it believes it can drill similarly designed wells. This week, Jefferies analysts lowered their natural-gas-price forecasts for this year and next to $2.80 a million BTUs from $3.25. Raymond James & Associates Inc. predicts an even lower $2.75 over that time.